Keith Lienert is currently a Lecturer of Music at the University of Wisconsin-Platteville where he teaches percussion, music theory, steel band, and jazz. In addition to his duties at Platteville, Keith regularly presents clinics and performances throughout Wisconsin, Iowa, and Illinois with Ensemble Nouveau, a UW-Platteville faculty quintet. As a pedagogue, Keith has given performances and presentations at the Wisconsin Music Educators Association convention, Wisconsin Day of Percussion, Tri-II Band Festival, and the Badger Conference Band Festival. A versatile musician on drumset, steel pan, and percussion, Keith has performed with numerous artists and ensembles such as Isthmus Brass, Rountree Wind Ensemble, The Johannes Wallman Group, Marvin Stamm, vocalist Kevin Mahogany, as well as many other local and regional performers in the Midwest. Keith is also the principal percussionist with the Dubuque Symphony Orchestra and has served as section and principal percussionist with the Wisconsin Chamber Orchestra in Madison, WI. Keith is a featured soloist on percussion and steel pan on several recordings including Chuck Marohnic’s Listen: Sanctuary Jazz Music from the Studio; and with Madison-based Isthmus Brass on their premiere recording through Summit Records, Isthmus Brass Christmas. Keith received his BM from Northern Illinois University, his MM in Percussion Performance from Arizona State University, and is currently working towards his DMA in Percussion at the University of Wisconsin in Madison. His primary teachers include Rich Holly, Robert Chappell, Cliff Alexis, J.B. Smith, Dom Moio, and Anthony DiSanza. 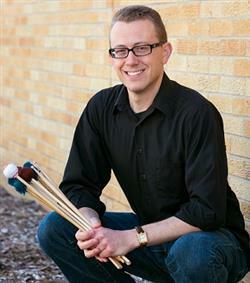 Keith Lienert endorses Innovative Percussion sticks and mallets.